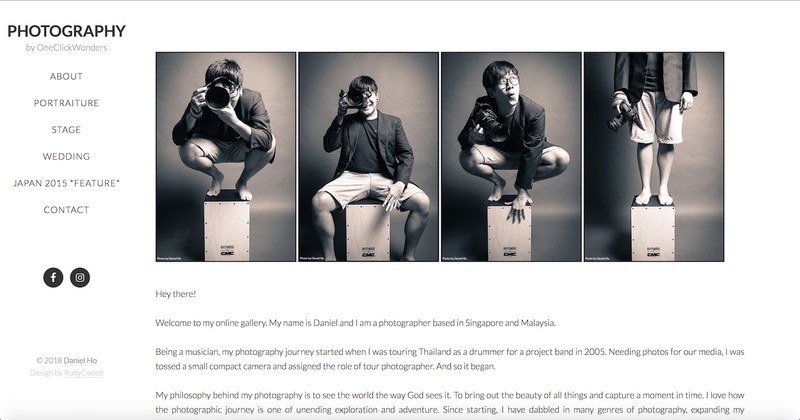 Daniel Ho Photography, portfolio showcase for Daniel Ho. Daniel Ho is the owner & founder of OneClickWonders. 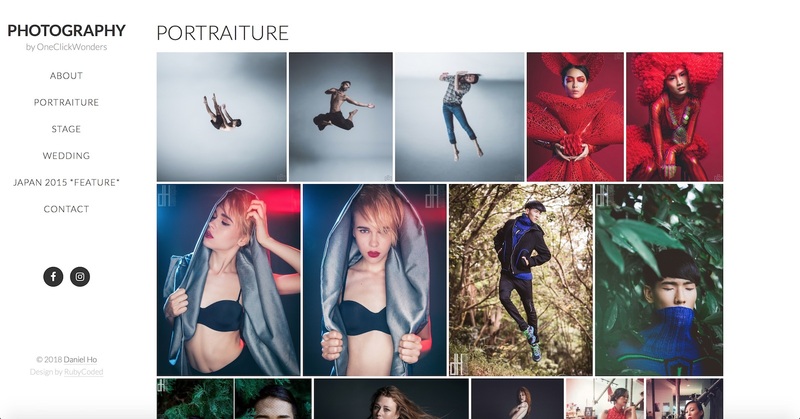 He is a well known photographer and was using different photo gallery platforms to showcase his work. Daniel approached us to build a website for him as the destination for clients and fans to view his photos in large resolution to enjoy their beauty. 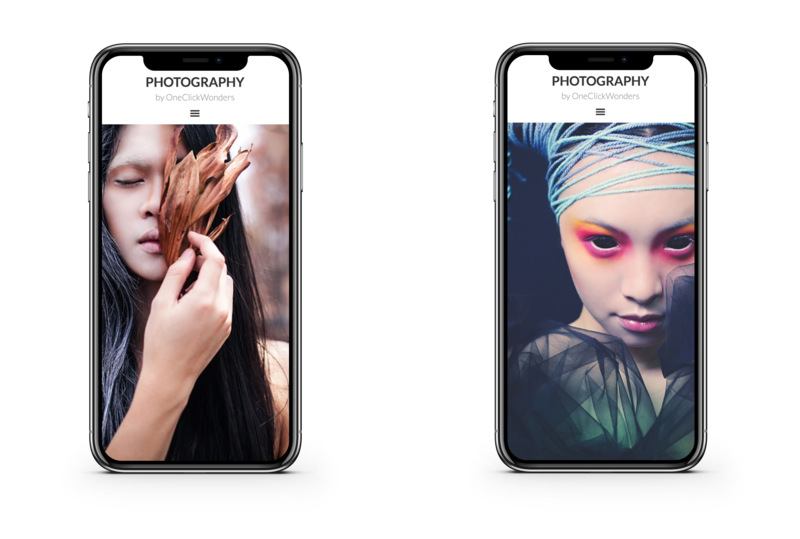 We designed his site with a custom mobile responsive design that allowed the photo galleries and viewing modules to automatically optimise for the different screen sizes of mobile devices. The team at RubyCoded was very attentive to the design details that I wanted incorporated into my website. They were always open to discuss different aspects of the site, and it was completed very quickly too. We love beautiful websites and we are proud to collaborate with the talented Daniel to create a gorgeous website full of breathtaking photos. Don’t take our word for it. Check out his website to enjoy his works.